Montmorillonite and Bentonite clay's are very similar yet vary in composition from site to site, Montmorillonite originally came from an area in France while Bentonite comes originally came from Benton in Wyoming ..nowadays both can come from anywhere in the world. 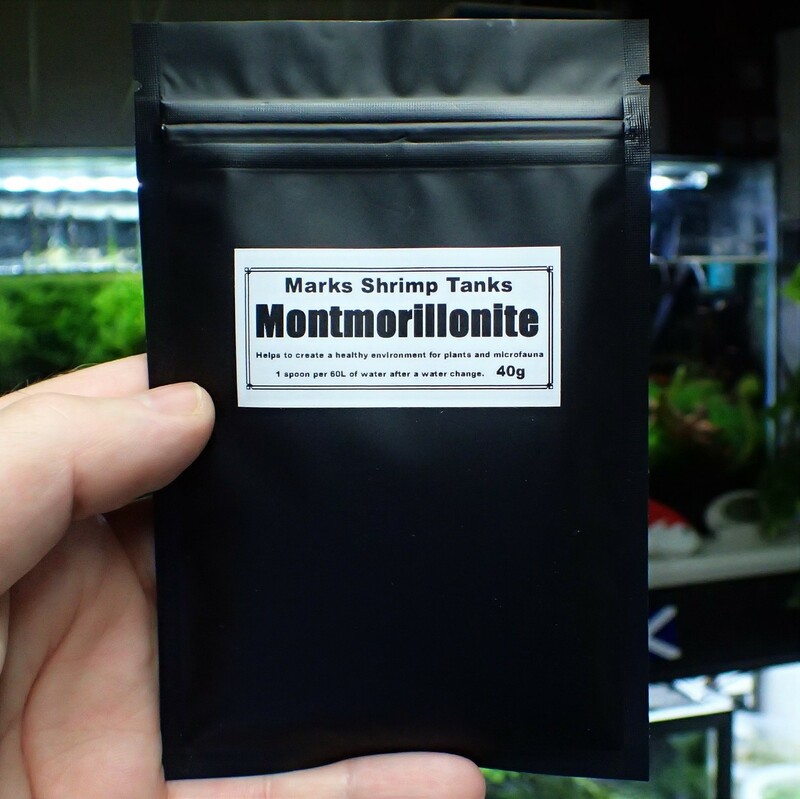 Think of them like grading you would have with cherry shrimp with one being just a higher grade, a good example of this is Bentonite is it roughly made up of 10% Monmorillonite. Why use them in a shrimp tank ? Montmorillonite clay's and Bentonite clay's are mineral rich, so they benefit all living organisms in a tank from bacteria to plants to micro fauna. You will also notice a difference in the plants you have as they take up the influx of minerals you will see new green growth which is very noticeable. Another added benefit is that clay is an absorbent so you will see a difference in the clarity of the water in your tanks as the clay absorbs impurities, did I mention that it call also absorb heavy metals and other chemicals? Do not mix ether clay directly into the water column only add it to your fresh water before you do a water change. Montmorillonite clay is mostly made up of Calcium which can cause shell thickening in young shrimp if they eat to much of it. I have had conformation of this from two buffer manufacturers and this is they reason they recommend mixing buffers outside of the tanks ..Our buffers are typically made up of Calcium and Magnesium. 0.1g per 60 liters of water for you Americans that roughly 16 Gallons..if you ever lose the spoon provided its almost the same as a large pinch.